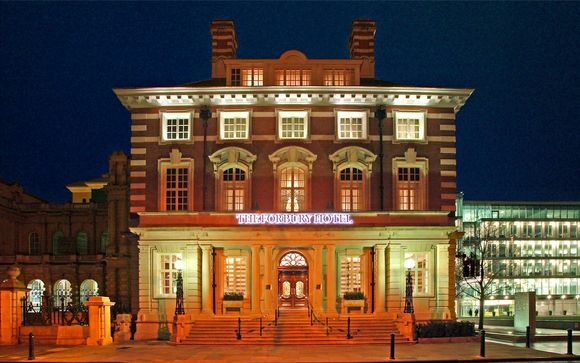 The Forbury is a boutique hotel in Reading. Housed in a listed property built in 1911 in Forbury Gardens, at the heart of the city, the 5-star hotel embodies pure luxury and opulence. 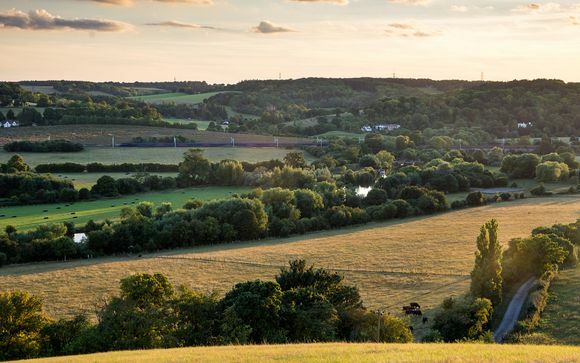 Delve into the beauty of Berkshire: the impressive Roman ruins of Silchester, the rolling hills of South Downs & the imposing turrets of Windsor Castle are waiting to be explored. 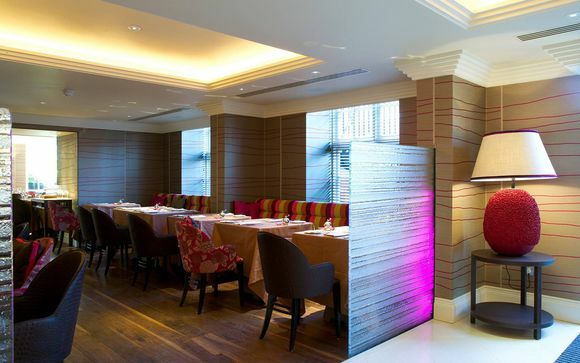 When dining in Cerise Restaurant, the food and beverage philosophy mirrors the grandeur of its architecture and design. Spreading west from London is the Royal County of Berkshire, home of the imposing Windsor Castle, the royal pomp of Henly-on-Thames & the country's gastronomic delights of Bray where you will find a plethora of Michelin-starred restaurants waiting to entice you. This stretch of land has all the beauty and charms of rural England with the bright lights of the capital within easy reach! This luxurious hotel is the epitome style, from the richly designed, flamboyant wallpapers to the 86,000 Italian glass beads in the chandelier that runs the height of the building in the old lift shaft, this hotel's opulence is found in the details which, when combined, create a a sublime interior waiting to welcome you. Guestrooms at The Forbury feature bespoke designer furniture by William Yeoward, sumptuous fabrics and state-of-the-art Bang & Olufsen audio-visual systems. Superior bedrooms have added luxuries, such as underfloor heating and walk-in showers, and the Forbury Suite features a freestanding teardrop bath and steam room. - Superior Room (25m² / max. 3 persons): Each lavishly-appointed en-suite bedroom contains all you would expect and more, including a state-of-the-art Bang and Olufsen audio-visual system, Molton Brown toiletries and Nespresso coffee machines. - Junior Suite (25m² / max. 3 persons): A copper bath in the centre of the bedroom, a four poster bed, private dining table for six or a separate living room are just a few reasons to upgrade to one of the junior suites or suites. - Suite (30m² / max. 4 persons): With attention to the smallest but finest detail and an overall sense of opulence and luxury, your stay at The Forbury promises an indulgent and relaxing experience. - One Bedroom Apartment (70m² / max. 2 persons): With The Forbury Hotel offering next door service including the Cerise Restaurant and bar, you will have everything you need at your doorstep. - Two Bedroom Apartment (78m² / max. 2 persons): Make yourself at home in your fully equipped kitchen which includes a dishwasher, great views of Reading, WiFi & a full hotel cleaning service. - The Penthouse (148m² / max. 2 persons): Full length glass windows provide spectacular views across the city skyline with generous balconies. With its own sauna, Bang and Olufsen sound and visual system and luxurious interior, the Penthouse is the ultimate place to stay in Reading. In the Cerise Restaurant, diners can enjoy relaxed traditional English cooking with modern twist in chic and stylish surroundings. This restaurant specialises in a seasonal menu that is brought to you by an award winning kitchen team sourcing local produce for a truly memorable experience. The Bar menu is new for 2016 and offers all day dining in the cocktail bar or outside in the Secret Garden. The hotel's attentive staff aim to cater for all occasions and tastes. Guests are welcome to have their car valet parked if they arrive by car to the main entrance of the hotel. This is charged at an additional £10 to the normal parking charges, listed above.